FITCAMP: A WEEK IN THE SUN | By: Lawrence Biscontini, M.A. WHITE WINE SANGRIA | By: Lawrence Biscontini, M.A. SCW Fitness Education, the largest fitness conference organization in the country, has announced the inaugural New York City MANIA® conference, which will be conducted on the weekend of February 24 through February 26. We strive to ensure our MANIA® conferences provide all fitness professionals with educational opportunities that include the ability to earn continuing education credits and to become certified in a multitude of fitness-related disciplines. A MANIA® weekend offers more than 200 sessions, with 16 sessions occurring concurrently on an hourly basis. More than 70 world-renowned Presenters provide MANIA® attendees with an experience that is unparalleled in the fitness industry. 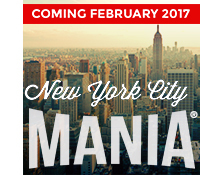 For additional information regarding SCW Fitness Education and the New York City MANIA® event in February 2017, check out www.scwfit.com/ny. Can’t get to New York City in February? Go to www.scwfit.com/MANIA and find an event near you. 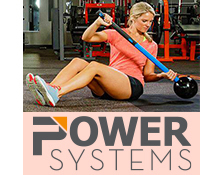 SCW Fitness Education is excited to announce that we have partnered with Power Systems for the next two years to bring Fitness Professionals the latest and greatest in fitness products at each of our 2017/2018 MANIA® Conferences! 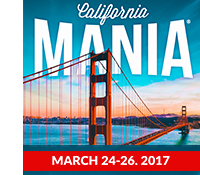 Both companies also have reached an innovative educational collaboration – so look for Power Systems sessions at all eight MANIA® events! The partnership between Power Systems and SCW will develop ongoing, relevant, educational content for personal trainers, small group training and fitness instructors. Power Systems also has a variety of offerings for studio owners who seek unique products that will differentiate them from the competition. Power Systems is well-known to Fitness Professionals worldwide. The company’s mission is to advance health, fitness and physical performance for everyone by living out core values — letting integrity dictate actions, being self-motivated and success-driven, selling the highest possible quality products, and demanding a positive attitude and respect for everyone. The Power Systems team strives daily to enhance the customer experience by providing the latest in tips and trends, product innovations, and most importantly, listening to customers and exceeding their expectations 100% of the time. What and Where is fitCamp? For more than five years at my mountaintop home in Puerto Rico, I have been offering fitCamp, dedicated to advancing everyone’s fitness career, both horizontally and vertically, from group training, personal training, aquatics and boot camp to the business of fitness. fitCamp is a personal fitness convention that is tailored to your fitness needs and limited to four people per week! You fly yourself in (on Monday) and out (on Friday) of San Juan, Puerto Rico, and your fee includes everything else: food, education, classes, books, DVDs, experiences and special surprises. I do all of the cooking featuring recipes from my new book, Meals and Musings. Each day is a fun, outrageous mixture of classes, exercises, filming, watching yourself and talking on the beach. It’s a chance to do all the things you know you have to do to make yourself a better teacher and trainer but never have had the time to do — until now. The day starts with breakfast at 8:00 a.m., and each day comes to a close after dinner with hot chocolate under the stars around 8:00 p.m. Anyone who wants a bit of sun in the middle of winter spending a week on fitness that will fast-track a career into something more adventurous, making you more popular and professional almost immediately. fitCamp fees are based on what each attendee can afford and can be spread out in a payment plan over a few months. Fees also are determined according to your level of experience. For example, current fitness presenters who come to train with me don’t pay the same fees as someone who comes to me who doesn’t even possess one current certification. All are welcome. fitCamp ranges between $800 to $2000 per person depending on your experience, your needs and the week chosen. This fee includes transportation to/from airport, WiFi, all meals and all education. You get my expertise and attention for an entire week, so ask as many questions as you want! I not only help you both recognize and develop your strengths, but I also guide you along any opportunities for growth. You get an exotic vacation, uninterrupted time with one of the world’s most award-winning fitness presenters, speakers and authors, plus all of your continuing education credits! This is an experience of a lifetime. Email Lawrence@findLawrence.com for more information, and please include your phone number with your inquiry. Another way to connect and learn more about fitCamp is experience a live class with Lawrence at MANIA®! Lawrence is excited to be presenting at the first SCW NYC MANIA® ever! Lawrence also will be judging the NYC MANIA® Fitness Idol – Apply to compete here: www.scwfit.com/idol. We have some really exciting news! Last month, fitness phenom Kathy Smith launched a new podcast series, called On Health: The Art of Living, with new episodes airing each Wednesday. You probably have worked out with at least one of Kathy’s videos, but if not, you’re missing out! Kathy is a New York Times bestselling author who has stood at the forefront of the fitness and health industries for over 30 years. The numbers speak for themselves: She has sold more than 20 million exercise DVDs – landing her in the Video Hall of Fame – and $500 million in Kathy Smith products. Kathy’s motto always has been progress, not perfection! In October 2016, her podcast joined the top of the charts, ranking as the #18 podcast on iTunes’ overall New and Noteworthy list and the #12 best podcast in Fitness & Nutrition. Each week on the show, Kathy shares the latest research and information on how to live a healthier lifestyle. Olympian Kate Grace | Training Tips – Professional track and field athlete, specializing in the 800 meter. She represented the United States in the 2016 Rio Olympic FINALS!! And most importantly, she is Kathy’s oldest daughter. Diana Nyad | Motivation – Swimming champion who completed her 40-year-old dream to swim 110 miles from Cuba to Florida in 53 hours. Valter Longo, PhD | Fasting Mimicking Diet – One of the world’s foremost experts on prolongation of lifespan and longevity. Kathy Magliato, MD | Women’s Heart Health – A cardiothoracic surgeon whose New York Times best-selling book is the basis for the NBC show Heartbeat. Wayne Westcott, PhD | Strength Train The Adult Way – Author of more than 20 books, 400 articles and 600 newspaper columns on the topic of muscle-building exercise. Josh Axe, DNM, DC, CNS | Leaky Gut– A New York Times Bestselling Author, who has a groundbreaking guide for understanding one of the most discussed yet little understood health conditions: leaky gut syndrome. Alan Christianson, NMD | Adrenal Fatigue – A New York Times bestselling author and naturopathic medical doctor who specializes in natural endocrinology with a focus on thyroid disorders. Martin Gibala, PhD | HIIT Training In 1 Minute– Professor and chair of the Department of Kinesiology at McMaster University in Hamilton, Ontario. He conducts applied research that examines the impact of exercise and nutrition on health and performance. Dave Asprey – Creator of the widely popular Bulletproof Coffee, host of the #1 health podcast Bulletproof Radio and author of the New York Times bestselling book The Bulletproof Diet. This episode is launching in a few weeks! Mark Sisson | Chronic Cardio – Author of the bestselling book Primal Endurance about revolutionizing your training approach to drop excess body fat, manage stress, preserve health and go a lot faster. And, don’t forget to click here to subscribe to receive the latest weekly episodes! Check out the episodes, and if you like what you hear, write a review or a question for Kathy. It takes only a few minutes. Exciting News! Kathy Smith will be presenting at some of our 2017 MANIA® events! Stay tuned to www.scwfit.com/MANIA to find out when so you can learn more from her live! With the holidays approaching, there will be lots of cocktails flowing! This is a fun and easy recipe that is sure to be a hit! This traditional southern Italian beverage is relatively new in the U.S., and it makes a wonderful, light drink anytime. Plus, eating the fruit at the end is an added bonus! Mix all ingredients and store in refrigerator overnight or for a few hours to marinate fruit. ENJOY!